I have had a passion for all creatures my entire life and with that a conviction for the humane treatment of any animal. Since a young girl, I've always owned all kinds of critters including dogs, cats, rabbits, snakes, birds, pocket pets, horses, and even nurtured numerous orphaned wild animals. I was involved in caring for animals with 4-H Dog Care and Training, embryology, and rabbit showmanship. I was a member of Future Farmers of America, as well as a volunteer at Halifax Humane Society. I had the opportunity to be the president of the Daytona Beach Veterianarian Explorers for many years which allowed me to work as a vet assistant with numerous, wonderful Veterinarians. As an adult I became a licensed wildlife rehabilititator, and a Certified Nursing Assistant. 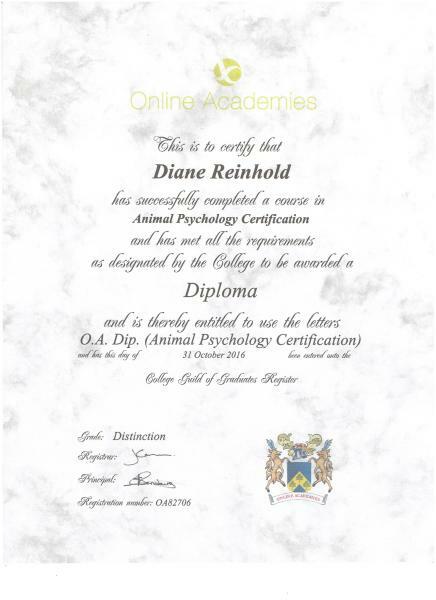 I also taught dog obedience, embryology and animal science with my own 4-H groups. I have enjoyed volunteering for Space Coast Therapy Dogs as well as multiple rescue organizations. Currently, I volunteer for the SPCA of Brevard. I am the proud owner of 2 great dogs and a noisy cockatiel. Recently I retired from my position as an office manager for a local chiropractor. My absolute love for all animals and my full time availability makes pet sitting and dog walking my dream job. 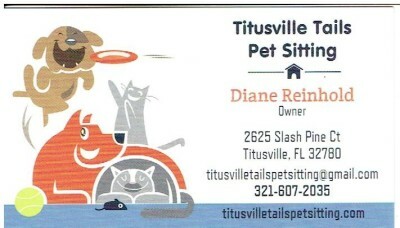 Please note that I will be unavailable for pet sitting and will be without cell phone service from 4/25/19 -5/6/19, then again for the month of June 2019. Certified, Licensed and 35+ years of experience to care for your best friends​. 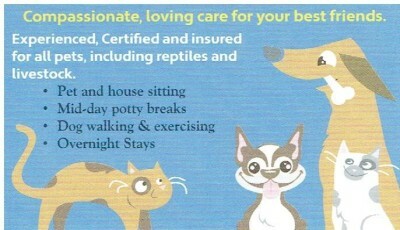 I am fully insured, and a proud member of Professional United Pet Sitters. 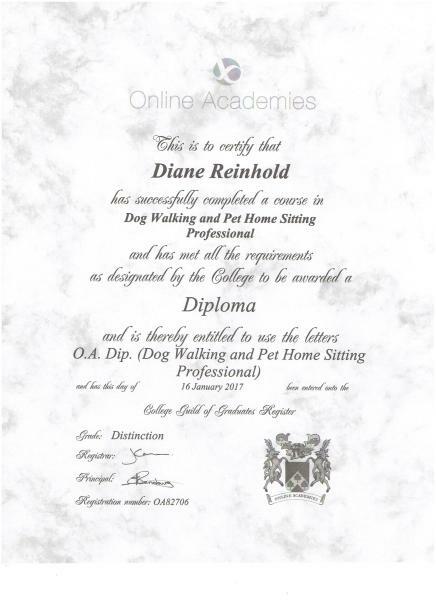 I have over 40 hours of Pet Sitting, Pet First Aide ​​and Animal Physchology instruction for which I hold certifications.